I'm pretty sure that my reason for following Simone a.ka. 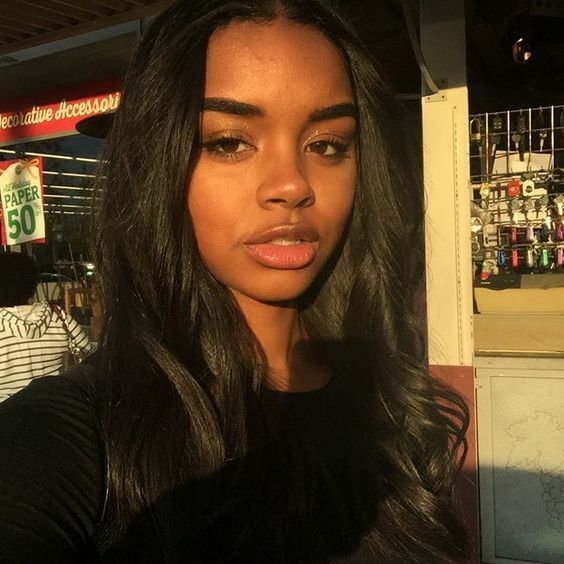 @cocoaflowerr was partly because of her amazing skin. 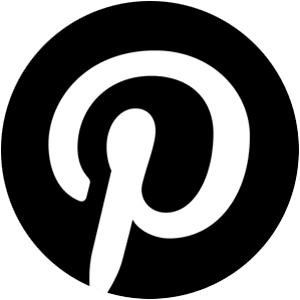 If you just spend a few minutes scrolling through her feed, you'll silently wonder what she does do keep her skin so smooth and blemish free. That's probably because she receives daily messages and comments from her followers wanting to know the details. 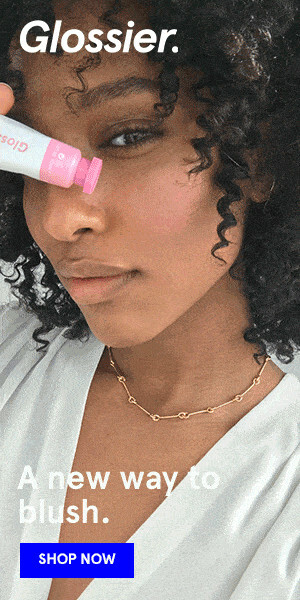 Good thing for us, Simone isn't stingy with her skin secrets. 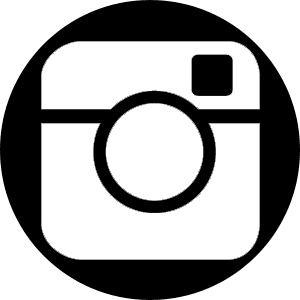 Over the past several weeks, she's been sharing her favorites products via Instastories and I was there to capture it all. Simone posted her reggie on her feed over six months ago. Since then, she's updated her lineup to include her new faves. Let's take a look back the original compilation of products that supported her perfect skin. -Cleanse with Shea Butter Black Soap (2x) a day. -Exfoliate with St Ives Apricot Scrub daily. At a glance, we can tell that masking and scrubbing are her favorite means of achieving clear skin. Her comment section was ablaze with concerned followers who warned Simone against using St. Ives on her face. Actually, she might not be using St. Ives on her face at all. That's because Simone has Shea Moisture's Problem Skin scrub on hand. My guess is that St. Ives is her body scrub of choice but if I were to make a suggestion, I'd recommend she try Shea Sugar Scrub instead. 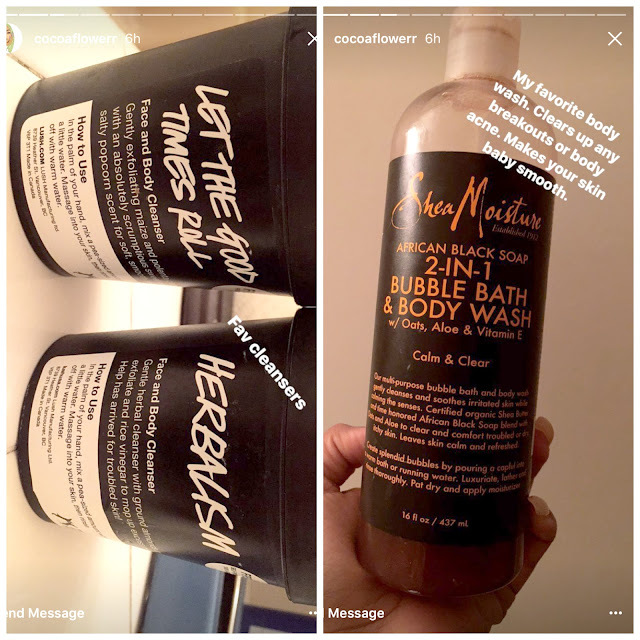 Now let's move on to Simone's current regimen revealed through Instagram Stories. Current favorite cleansers: Lush's Herbalism & Let the Good Times Roll (exfoliating cleanser). Looks like she switched from using black soap to Lush cleansers. I'm guessing the change was promote hydration throughout the winter months. 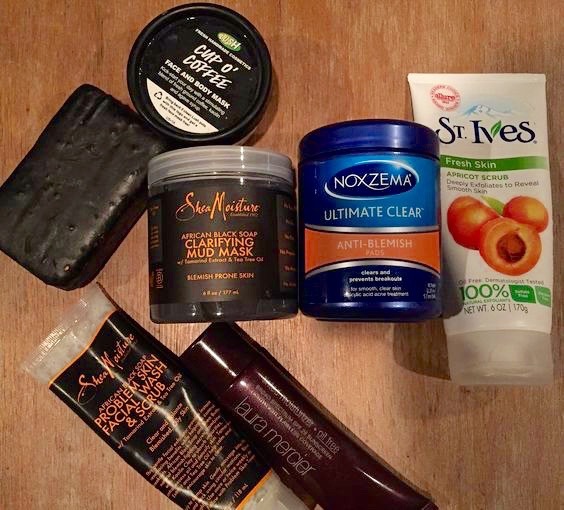 Are you noticing that Simone has a love for exfoliating products? I checked out the details of Let the Good Times Roll and it appears to gently exfoliate using corn meal. Sounds interesting. Another thing I love about her routine is how she doesn't just focus on her face. 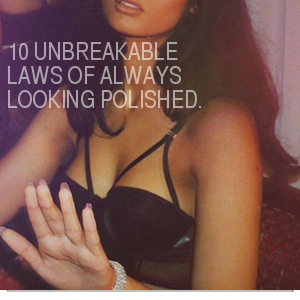 She wants the skin on her body to be just as perfect & flawless. 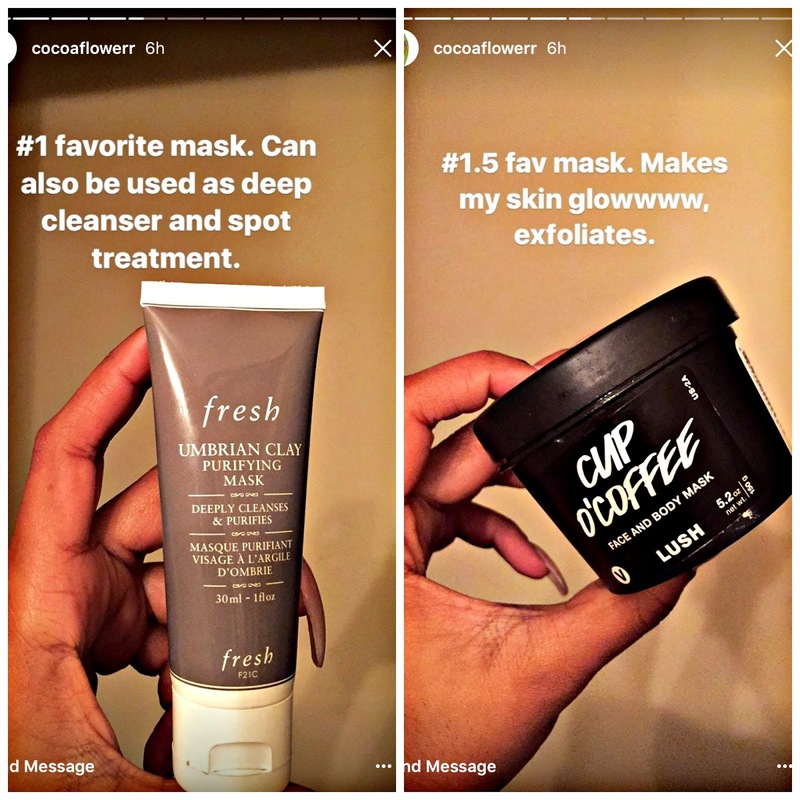 Hence the reason why Simone loves Shea Moisture's Black Soap Body Wash.
Let's move on to her favorite masks. As you can see, Cup O' Coffee is still one of her faves. 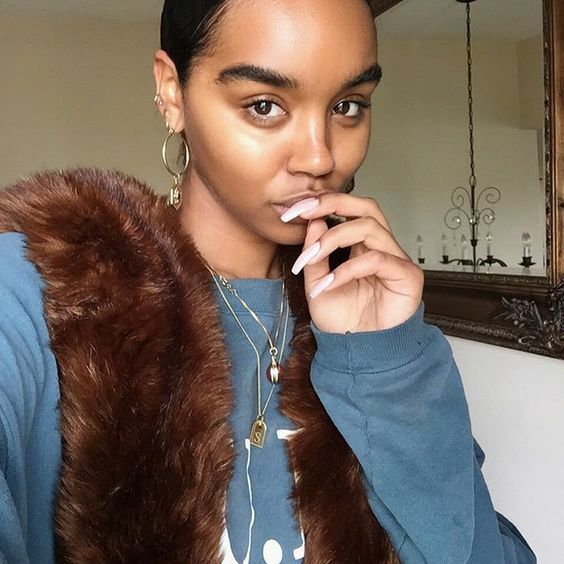 In her story, Simone informs us that this mask gives her skin that glow. I may need to give Cup O' Coffee a try. For deep pore cleansing. Simone has Fresh's Umbrian Fresh Clay purifying mask. This one is one of my staples. I've used it (as a clay bar) for years. This mask is a little on the pricier side so feel free to try Aztec Secret (which she also uses) or Origins Clear Improvement as alternatives. Lastly, she completes her facial care routine with a tea tree toner from Lush. 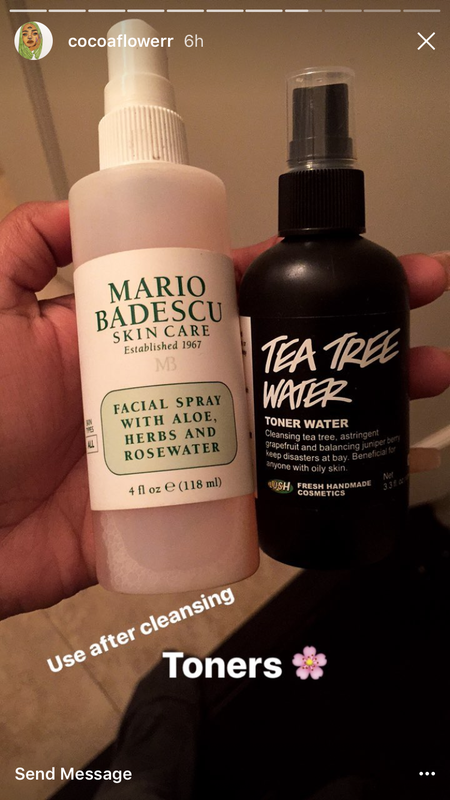 To hydrate her skin, Simone mists with Mario Badescu's Rosewater spray. I've tested it at the store and I love the way it feels on the skin. Beyond external skin care, Simone also focuses on her internal health. 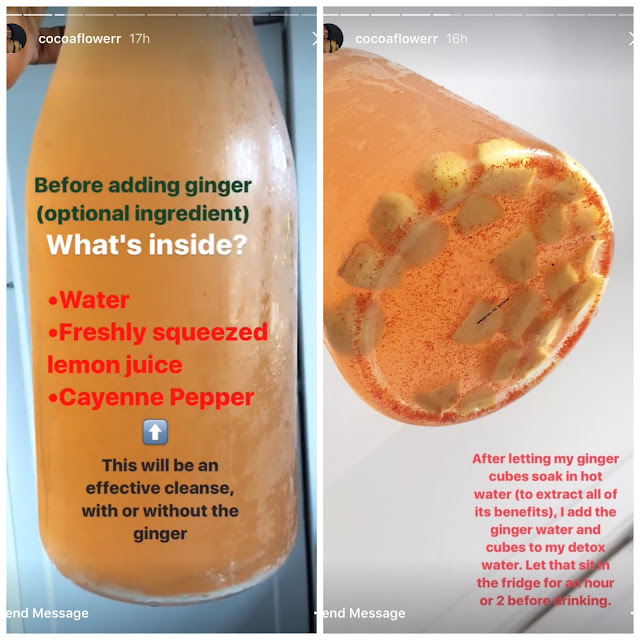 You can imagine how excited I was when she posted a pic of her home brewed "skinny detox tonic." Looks like she whips up a large batch of it to sip throughout the day. The combination of lemon, ginger, and cayenne helps promote internal circulation while alkalizing the body. This is the foundation for healthy skin. 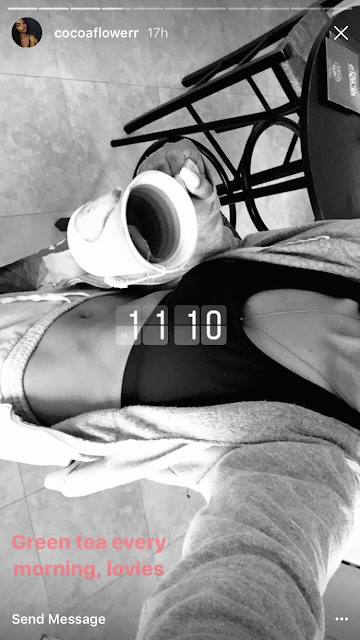 Another healthy habit of Simone's is drinking (at least) a cup of green tea daily. Both green tea and her lemon-ginger tonic work wonders in helping to eliminate bloat, aid in digestion and promote weight loss. When we mask and exfoliate regularly, we can look flawless. But if we support a bomb skin regimen with healthy tonics and nutrient rich foods, we glow from the inside out. 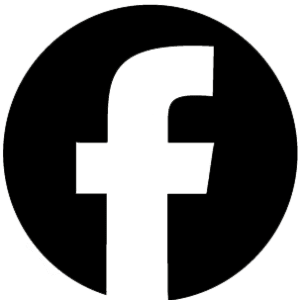 This is Great thanks for sharing - yes Lush Cup o'Coffee is one of my favs and I absolutely love the smell! 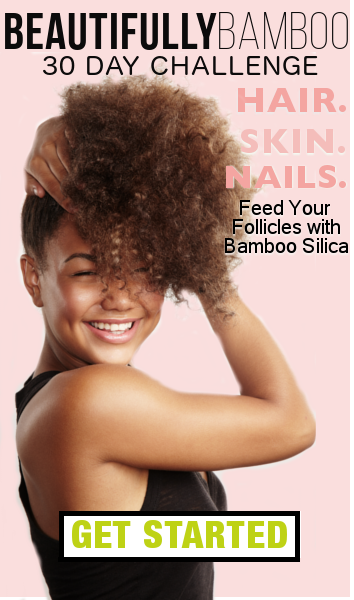 The Chic natural on YouTube also has gorgeous skin and exfoliates daily..I plan on upping my skin care with these tips. Thanks. Nadege, any idea of what she uses to moisturize her skin? Great question. I don't think she shared it, I'll keep an eye out to see if she reveals it in the future. These ideas are awesome. Will definitely be implementing!